They have been kind enough to give me 2x Lisa’s product vouchers and a bag of Abe’s Bagel Crisps to give to one lucky follower. Look out for my Facebook post to be in to win. Cut bagels in half and toast until golden brown. Melt butter in a large frypan over a moderate heat. Crack eggs into the pan and fry until whites have set and edges are crispy. 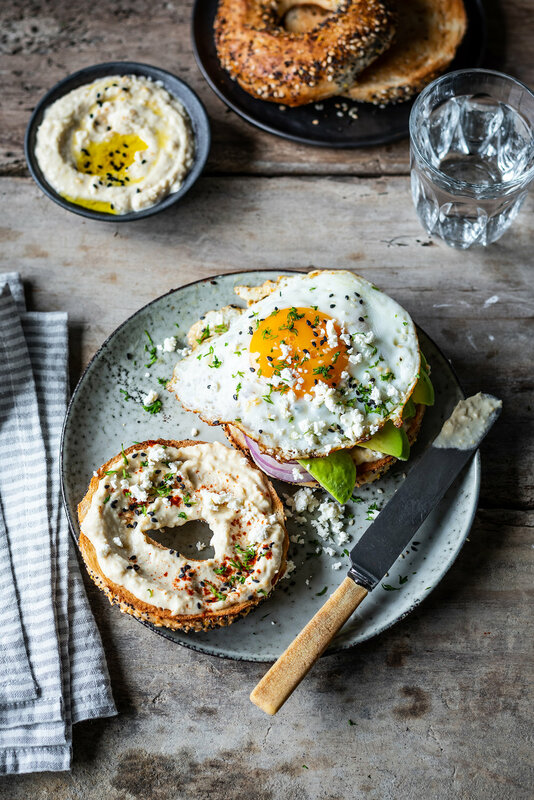 Smear both sides of each bagel with a generous spoonful of Lisa’s Smokey Hummus. Top with red onion, avocado, fried egg, goats’ feta, dill and a pinch of sweet paprika.